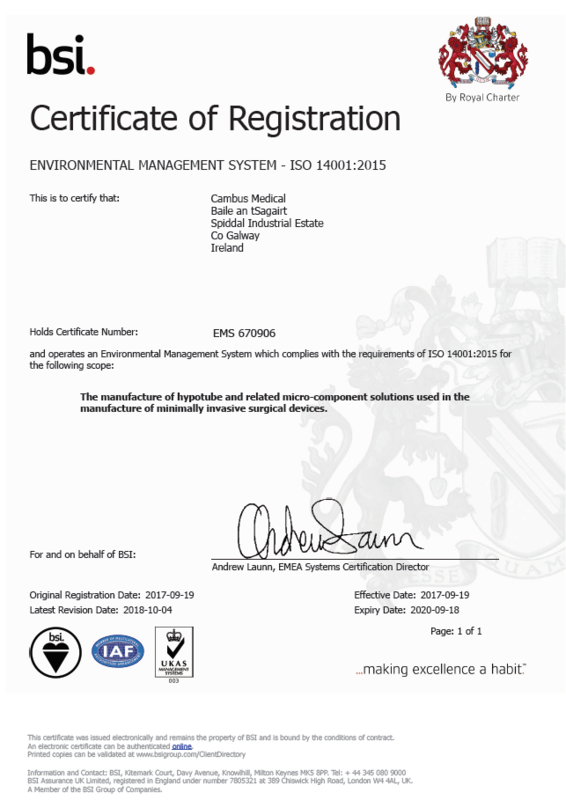 Cambus Medical is committed to delivering customer satisfaction, through a structured 'continual improvement' approach to our business. 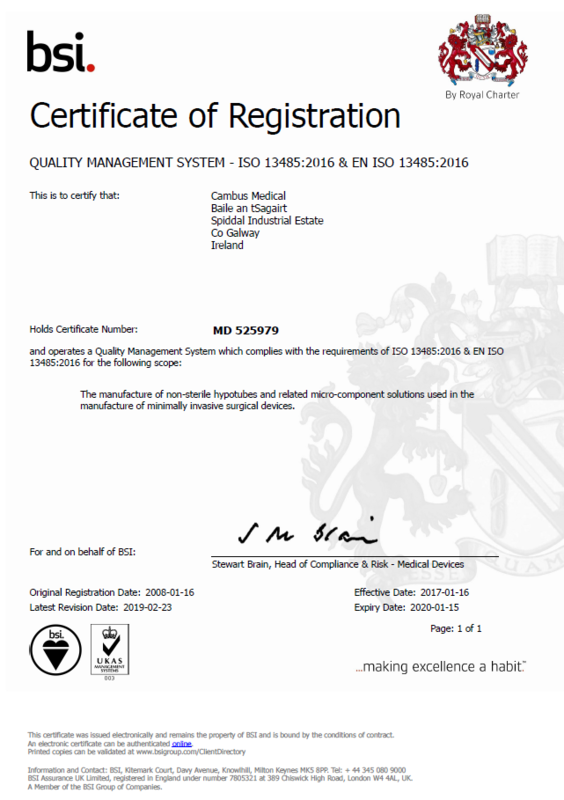 To help achieve this we are committed to continually improving our ISO13485 Medical Devices Quality Management System to exceed both customer expectations and the company's quality objectives. Our systems and procedures are regularly evaluated through internal audits, customer audits and through BSI. This helps ensure we have the most stringent controls in place to deliver top quality products.We have also invested in an experienced team and state of the art inspection equipment to comply with our customers' requirements and our own quality assurance system. Our Quality objectives are simple: ensure compliance with all applicable Regulatory Standards while implementing customized validation and quality assurance systems that meet each of our customers’ specific requirements.